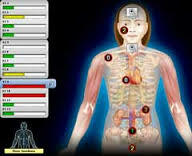 Who can be a Certified NES Health Practitioner? You would like to train as a bio-energetic practitioner. If you are not currently a qualified practitioner you can earn our diploma in bio-energetics, which covers bio-energetic anatomy, physiology and pathology though our sister training company Quantum Health.